Now, you can easily enjoy your HD Content from any HDMI device to your HDTV, 3D TV or HD Gaming System with this extra long 5m cable. 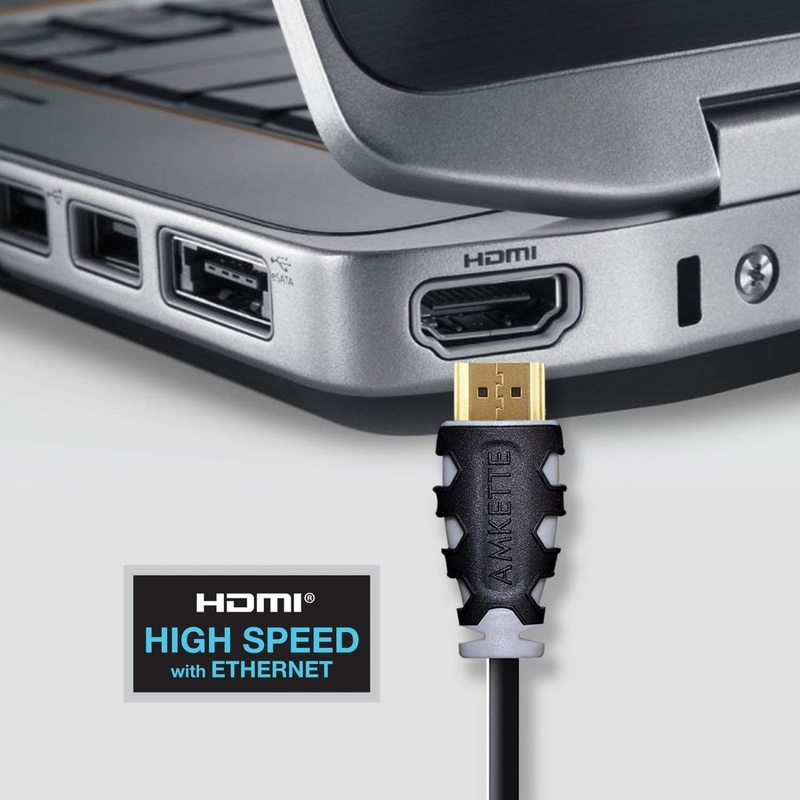 This high performance 1.5m cable with HDMI connector, has a 10.2 Gbps data throughput allowing for a stunning 1080p cinema experience. 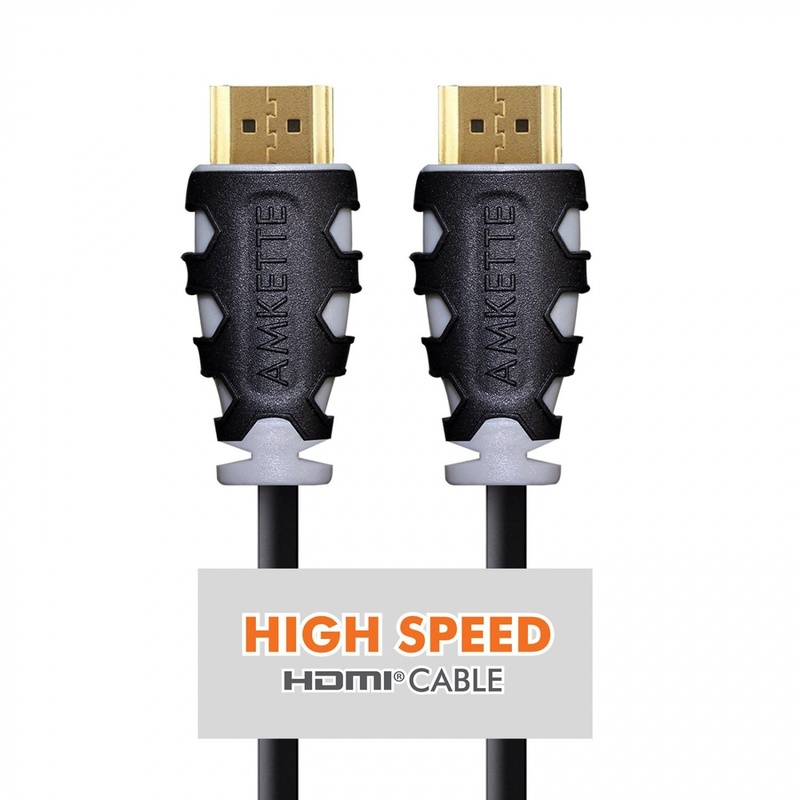 Amkette’s HDMI cables are fully compatible with 3D TVs, HDTVs, XBOX, Playstation and other HDMI devices. The cables deliver High-Definition video/audio signals for Home Theatre applications and professional home theatre installations to provide the best level of audio and video quality. The special feature of the portfolio is that it is designed with 100 percent copper, and are oxygen free for better durability, and lossless quality connectivity. The cables are created by using soft PVC with trauma resistant connectors making the cables extremely flexible and easy to install in inaccessible conditions. The cables also come with color coding stickers, enabling easy labelling to recognize the different devices connected through the HDMI cables. 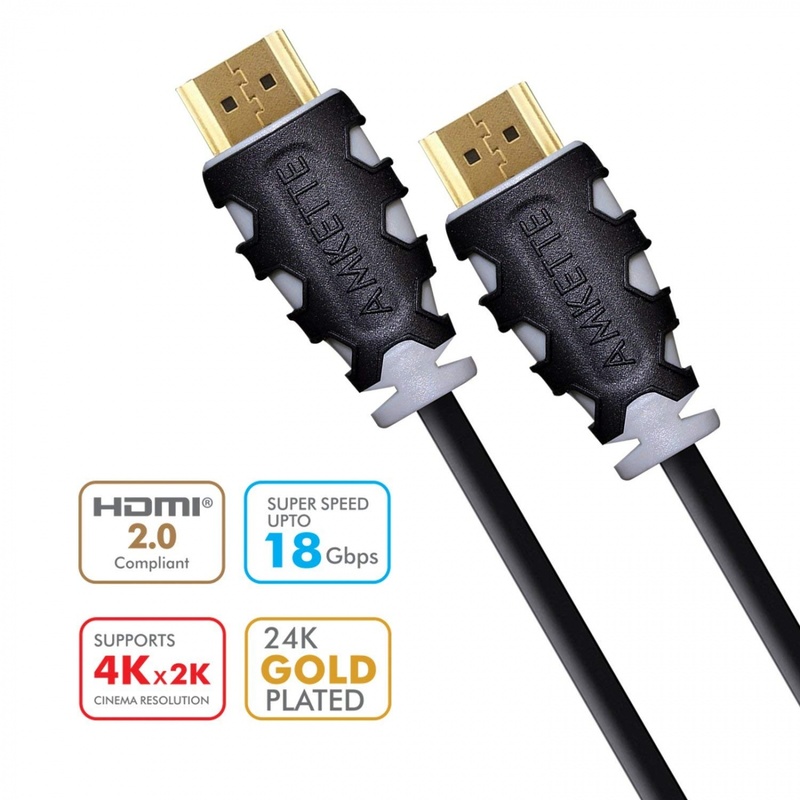 Amkette HDMI cables meet the highest quality standards, and enable users to indulge in the world of endless HD entertainment. Amkette HDMI Cables come with lifetime warranty.